As tensions continue to rise in the flashpoint country of Syria in the already boiling Middle East, and voices heard of a possible conflict between the United States and Russia, they are all mistaken. The Cold War is over and will not be repeated. These two powers have more common interest to risk any unnecessary military conflict that neither will benefit from. The only party set to gain anything in such a scenario would be Iran, and more and more experts are raising alarm bells. Yes, Russia has issued a warning to the US about flying its planes or drones west of Syria’s Euphrates River that snakes through the country from the north to the southeast. Rest assured this is nothing but a bluff as Australia first responded by suspending its fighter jet flights, only to resume its activities one day later. Russia looks to maintain its interests in Syria and is in no need of a conflict with the far more technologically-advanced US military. Iran poses a far greater threat to the US, and the entire world for that matter, than Russia. And as we inch forward down the path of seeking a solution to bring an end to the war in Syria and turmoil across the region, crosshairs are more than ever before being rightfully placed on Iran. Iran’s meddling in Iraq, Syria, Yemen and its decades’ long support of its offspring, the Lebanese Hezbollah, are all signs of a vast imperial campaign seeking to gain further control over the future of the entire Middle East. Tehran has long calibrated its foreign policy for this very objective. This goes alongside Iran’s other pillars, being domestic crackdown and advancing nuclear/ballistic missile program, to maintain its rule and remain in power. Long before the Islamic State, Iran has sought to expand its mentality of establishing a Middle East-wide caliphate. This is exactly why Iranian regime founder Ruhollah Khomeini adopted and imposed the velayat-e faqih (governance of jurist enjoying custodianship over all state affairs and people’s lives). This mentality of Iran’s mullahs must be acknowledged by the West and appropriate measures are needed to prevent any further devastation. A short look at the atrocities we are currently witnessing due to Iran’s influence over Baghdad, Damascus and Sana’a should be proof enough to highlight the need for a firm and decisive policy vis-à-vis Iran. The Obama administration continuously backed the US into a corner and only sought to obtain a highly flawed nuclear deal at any cost. It is imperative for Washington and the international community to understand the imperative nature of setting the correct goals in relations to Iran. Senator Tom Cotton in the US has recently made a significant call for Washington to seriously consider regime change in Iran as a serious possibility. “The policy of the United States should be regime change in Iran. I don’t see how anyone can say America can be safe as long as you have in power a theocratic despotism,” Cotton, a member of the Senate Armed Forces Committee, said in a recent interview. Washington had supported reform from inside the current regime in Iran, only to end in no fruit. Officials in the Trump administration, however, are indicating this may no longer provide the results they seek. Allies of this administration are even heard urging a far more aggressive position. To accelerate the entire subject even further, Washington and Tehran have been experiencing a high fraught increase in their relations. US Secretary of State Rex Tillerson responded to a question in a House Foreign Affairs Committee hearing emphasizing Washington’s support for peaceful regime change, a first bye any US official. Iran has responded by filing an official complaint to the United Nations. All this goes parallel to numerous face-offs between the US-backed coalition and Iran-backed forces in Syria. As the Trump administration continues to weigh its all-out Iran policy, such developments and voices heard from across Washington and Europe will most definitely place the mullahs on edge. 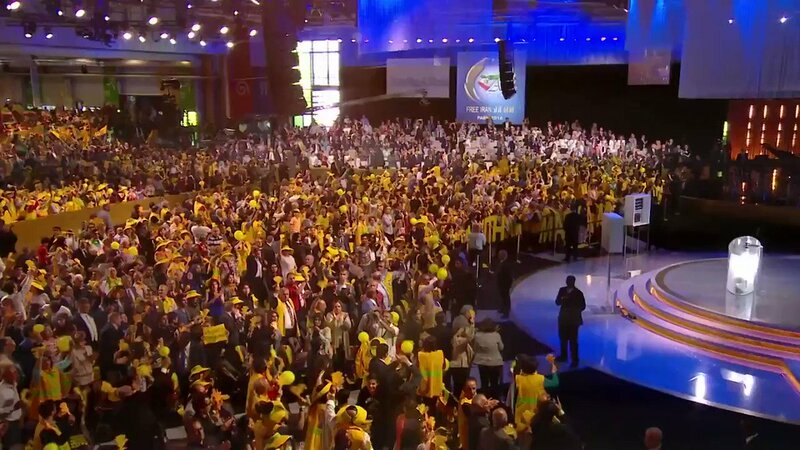 The Iranian opposition National Council of Resistance of Iran (NCRI), however, is gearing for its annual Paris rally scheduled for July 1st this year. Hundreds of prominent dignitaries from the US, Europe and Middle East will most likely be joined by over 100,000 members of the Iranian Diaspora from all corners of the globe. 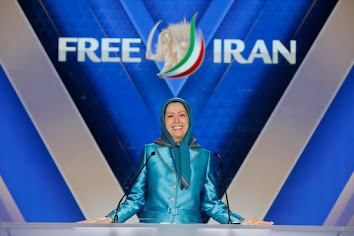 As seen in previous year this platform will express support for NCRI President Maryam Rajavi and her ten-point planconsisting gender equality, peaceful coexistence, abolishing capital punishment, torture and crackdown, and bringing an end to Iran’s nuclear program, meddling and support of terrorism. 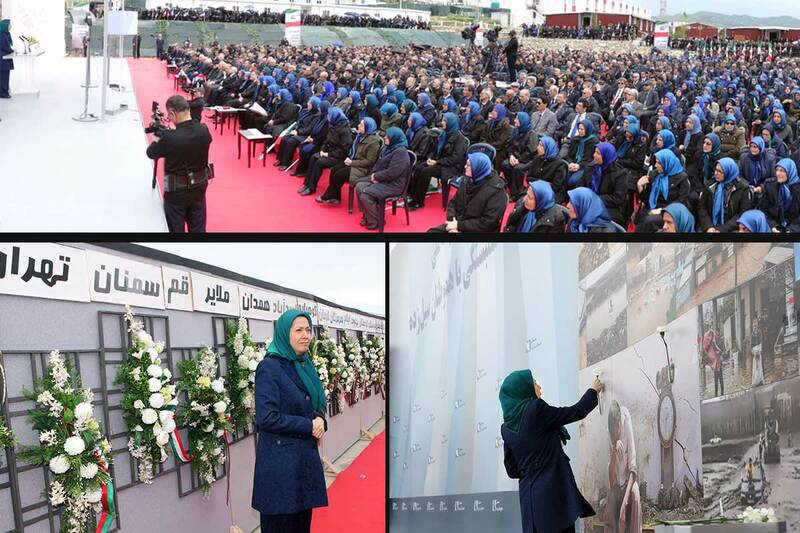 The combination of calls for regime change in the West and the Iranian opposition delivering a very capable platform to realize this initiative is a recipe for disaster in the eyes of Tehran’s mullahs.